As promised, late for my birthday, an excerpt of DUST OF THE DEAD SEA. The next book in The Hollows series. It's *really* book 2 in the series. The Skeleton Song is a prequel to Skeleton Lake. 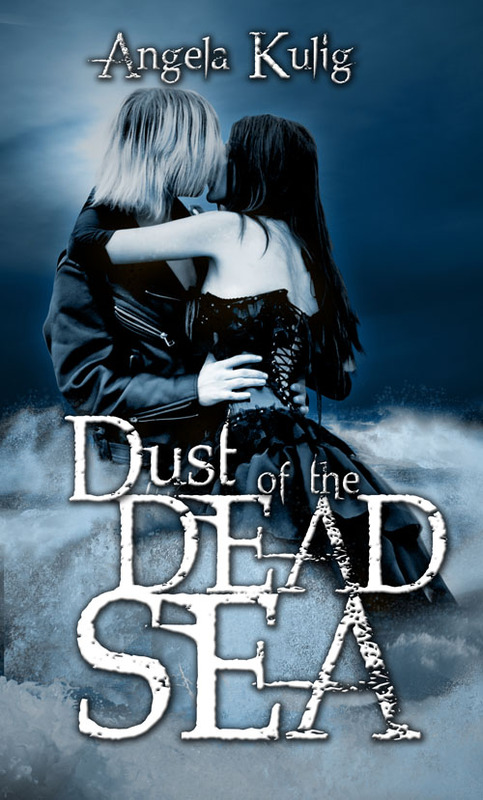 Look for Dust of the Dead Sea before Halloween. In the night, weeds like taloned hands reach at the road like needles looking deep for veins. Never will they reach them, but somehow never beaten all the way back. The small wisp of moon gives no light that our headlights can't block out. The sky is only as dark as the asphalt that lays before us, cracked and wrinkled is the skin we can't the shed. Stars that should fill the sky like specks of dust in the dark underside of things seem not to exist. In the late hour, it is as though I have forgotten what they look like; standing both alone in their own light, and together in thick clustered families against the painted parts of the sky. I wiggled closer to Raiden. In sleep, his head had fallen from my shoulder, and become pressed against the window that may as well be a painted wall of black. The only light is the horrible desert plants that are illuminated by the two beams in front of the jeep. I had to give up watching what lay out there, my imagination I hoped, was worse than what could really be lurking in the starless night. Yet I knew I was driving toward much, much worse. The decision to come to The Dead Sea had been the right one. But the closer we got, the more I was afraid of the beasts that weren’t imaginary. I, the ever willing lamb, was headed exactly where the wolves would have stolen me away. Haven't read the other books in the Hollows Series? Find them below, and other ebook retailers.